Young boys hang around and compare cell phones at the supermarket. Barefoot kids play on roads of rubble and rocks that even cars struggle to get through. Doors of many of the cement houses that line the road through the Abu Hamour Camp are covered with carpets and blankets. The pride of the Baluchi people who live there is expressed through the spray-painted graffiti on the walls that spells out ‘Al Baluchi’ in Arabic. 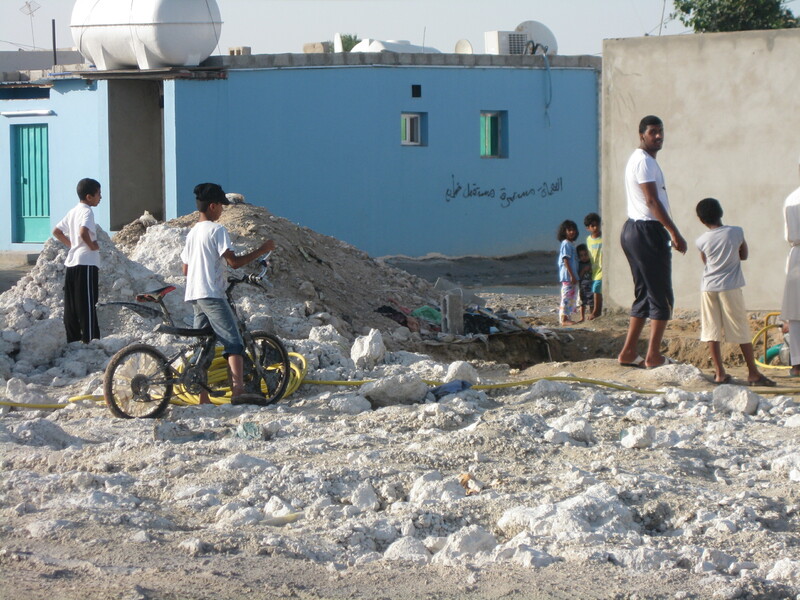 In the tiny oil rich country, Qatar, the scene of the camp is completely incompatible. The Baluchis who live in the camp are not Qataris though they have been working in the army and the police force, and in other government positions. “We don’t have sewage system here and we also don’t have water pipes,” said a Pakistani Baluchi, Qadir Bakhish. The Baluchis originally came from poor tribal areas in Pakistan, Iran and Oman to work for their richer neighbors in the Middle East. The Baluch people reside in the region of Baluchistan in the Iranian plateau in Southwest Asia, which includes parts of Iran, Afghanistan and Pakistan. The government gives the Baluchis equipment to build their homes. There are 900 to 1,000 houses in the Abu Hamour Camp with a maximum of small five bedrooms, a bathroom and a kitchen. There are two supermarkets and ceremonial tents, and five mosques that are divided between the Pakistani and Iranian Baluchis, but are also open to other Baluchis in the camp. Further in the camp are illegal two storey houses. 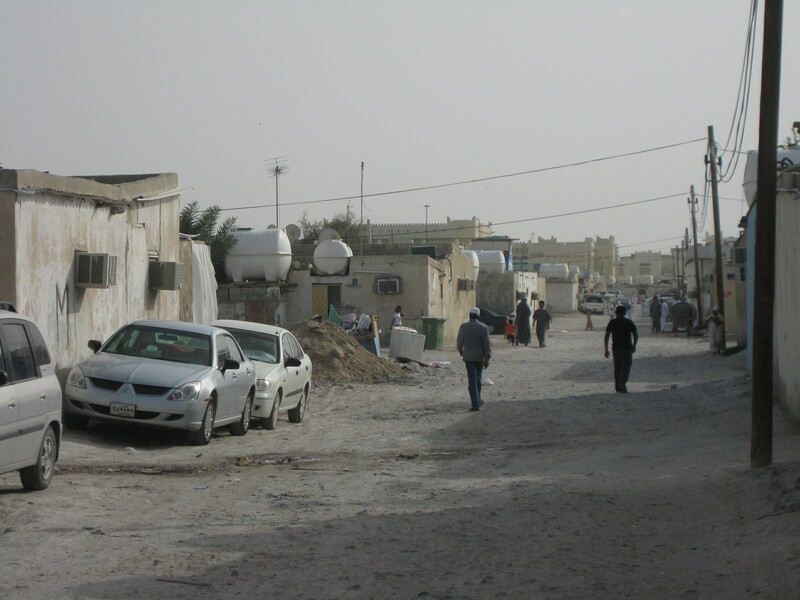 The Abu Hamour Camp in the Abu Hamour area in Doha, Qatar includes Pakistani, Iranian, and Omani Baluchis who began immigrating to Qatar before its independence to find a better life. At first, in the 1950s, the Baluchis lived in an area called Fereej Al Abdulaziz, which is in Doha’s outskirts. Then the government moved the Baluchis to Fereej Al Nauija, which is where the Ahli Stadium stands. The third forced move brought the Baluchis to where they are now, Abu Hamour. The Baluchis asked the government to move them to better housings in May 2008, but Baluchis haven’t seen any result. According to the chairman of Pakistan Baluch Social Welfare Organization, Abdul Latif Baloch, the government is planning to transfer the Baluchis to an area known as Al-Sayliyah on the outskirts of Doha. Baluch estimates 12,000 Baluchis while the Baluchis at the Abu Hamour Camp estimate a maximum of 5,000 Baluchies. The Pakistani Baluchis are the largest number of Baluchis in the camp with 66 percent, followed by the Iranian Baluchis with 33 percent, and then the Omani Baluchis with one percent.